Regular grooming is an important part of owning a dog. It helps to keep your dog healthy. The biggest benefit to grooming your dog at home is that it will save you money. Dog grooming can be expensive so if you are looking to save money and you have the time, you should do it yourself. It also gives you a chance to spend time with and bond with your pup, and give them a health check at the same time. You will have a happy, healthy, and clean dog. Have everything you need ready before you start. 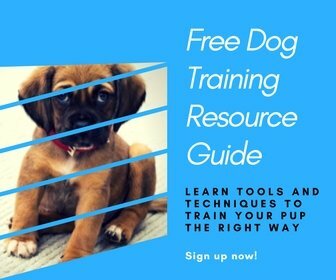 This will help things to go smoothly and quickly for your dog. Here is a list of dog grooming supplies you might need to get, with our recommendations for some of the best products to use. Comb. The Andis Pet Steel Grooming Comb is our favorite comb for dogs. It is all metal and has pins that are at two different widths for versatility. Slicker brush. We like the Hertzko Self Cleaning Slicker Brush for brushing your dog’s coat and getting out loose hair, knots, tangles, and mats. Electric dog hair clippers. This Wahl Deluxe 16 Piece Pet Grooming Kit has everything you need to clip your dog’s hair at home. Dog nail clippers. We love using the Boshel Dog Nail Clippers and find them very easy to use, with a safety blade that helps to not cut too much of the nail. Shampoo. This Earthbath All Natural Pet Shampoo is a great soap-free shampoo that is soothing for your dog’s skin and great for dogs with allergies. Conditioner. Use a conditioner like the Earthbath Oatmeal and Aloe Conditioner after shampooing to keep your dog’s coat healthy and shiny. Towels. You can just use some old towels you have around the house. Or if you want something super absorbent try the DII Bone Dry Ultra Absorbent Pet Towel or a Soggy Doggy Super Shammy to get your dog dry quickly. Treats. Always have some treats on hand to encourage your pup. You can use some healthy raw fruits and vegetables, or buy some healthy natural dog treats like Blue Wilderness Jerky or Rocco & Roxie Gourmet Jerky Sticks. Always try and put your dog at ease before any grooming activity with a calm and soothing voice. During the grooming give them lots of love and praise and maybe a treat or toy. Always finish with something positive, praise, treats, and a play or walk. If your dog is anxious, fearful, nervous, or aggressive at any stage, stop what you are doing and try again at another time. Your dog’s well-being should always come first. If you can, have someone else there to help hold your dog throughout your grooming sessions. Holding your dog steady is particularly important during nail clipping and hair cutting to avoid any accidents. Here are some of our best dog grooming tips to help keep your pup clean and healthy. Always brush your dog before washing to remove tangles and loose dead hair. Brushing your dog regularly will help to remove mats and keep them from returning. It is also good for stimulating the skin and distributing natural oils through your dog’s coat. Regularly removing your dog’s loose hair will also mean that you won’t find it all over your house and furniture, so that’s a win for you. It is also a great opportunity for you to check over your dog for wounds, lumps, infections, fleas, ticks, or any other health issues. Grab your comb or brush and start at the head and work your way down. Brush in gentle strokes and be extra careful around sensitive areas like the head and underbelly. You can brush against the direction of growth first to help loosen broken hairs and remove any debris. Then brush the hair back into place. If you come across any matted hair try to ease it apart gently. Our guide on how to detangle matted dog hair goes into more depth if you need it. Giving your dog a bath should be an essential part of their grooming routine. Depending on your dog’s breed, this should be done weekly or every couple of weeks. Bathing your dog should come after brushing to prevent mats from setting and too much loose hair from clogging up your drain. Grab your dog shampoo, conditioner, and towels to get started. Depending on the size of your dog you could do this inside or outside. You can use your wash tub, bath tub, or shower. You could even use a plastic kiddie pool outside with the hose. Or you can buy a special dog bath. If you are using a tub or shower, make sure you have a non-slip mat inside, or just pop a towel down to stop him slipping. Use luke-warm water and test it first. If it is too hot for you, it is too hot for your dog. You may need to secure your dog with a dog bath lead. Soak your dog all over up to the neck using the tap or a bucket or hose. Try to avoid getting water in the ears. Always read the manufacturer’s recommendations for your dog shampoo as some of them need to be watered down. Add the shampoo from the neck down and work it in with your fingers. You can also work the shampoo in with a rake or brush to help distribute it better. Be gentle as you work the shampoo in to avoid causing your dog any discomfort. When you are done, rinse the shampoo out with fresh water using the tap or bucket. Rinse really well so you don’t leave any shampoo behind to irritate your dog’s skin. Do it twice if you are not sure you got it all out. Do their head last with a wet cloth and don’t use shampoo unless it is the special “no tear” dog shampoo. Use a towel to dry his coat. You can use an old bath or beach towel, or something ultra absorbent like the DII Bone Dry Microfiber Pet Drying Mitts or towel. For long-haired dogs, you may need to blow dry their coat. Make sure you use the cool setting and don’t hold it too close to your dog. Check your dog’s eyes regularly to see if they need cleaning. Use a clean, soft washcloth and wet it with room temperature water. Avoid using paper towels, wipes or tissues as these tend to disintegrate when wet. Avoid using soaps or shampoos when cleaning your dog’s eyes. Use slow, gentle strokes to remove the dirt and muck buildup, and do not touch the eye itself. If your dog has tear stains that are difficult to remove, seek the advice of your vet as this can indicate an underlying health condition. You should also check your dog’s ears weekly to look for any dirt buildup, infection, or inflammation. If you notice any redness or swelling take him to the vet. If it is just dirty you can give it a good clean. If all looks good, leave it be. Do not over clean your dog’s ears. Use an ear cleaning solution at room temperature. Do not use soap, shampoo, or anything else in your dog’s ear. And do not use cotton buds as this may push any dirt and debris further into his ear. Hold the ear up and put a small amount of solution into your dog’s ear and massage at the base of the ear to work the solution in. Your dog may want to give his head a shake so just let him. Wipe out the ear with a damp cotton ball or cloth until it looks clean. Do not go too far into your dog’s ear, only clean what you can see. Be gentle, your dog’s ears are much more sensitive than other parts of his body. Bad breath and plaque buildup are good reasons to clean your dog’s teeth regularly. It also is a good preventative measure to avoid dental problems for your dog. Use a good dog toothpaste, do not use human toothpaste as fluoride is poisonous for your dog. You can use your fingers, or grab a special dog toothbrush for the job. If you haven’t brushed your dog’s teeth before, start slowly using your fingers first, and put a little pressure on his teeth and gums to see how he reacts. Add some toothpaste to your finger and let your dog taste it. You may need to try different flavors until you find one he likes. Once he is used to this and seems comfortable, you can add the toothpaste and brush. Use the brush at a 45-degree angle in a small circular motion. Do a few teeth at a time and give your dog a break before moving on. If your dog seems agitated or upset, stop and try again at another time. Some other things you can do for your dog’s dental health are including some dry dog food in their diet and giving them some good chew toys or dog dental chews to munch on. If you notice anything odd with your dog’s teeth or mouth, like excessive bleeding, discoloration of the teeth, red or inflamed gums, lumps or growths, or excessive bad breath, take him to the vet asap. You should also get your dog’s teeth checked with the vet every 6 to 12 months. If your dog’s nails get too long they can curl or break causing pain and infection. Or they can cause your dog to walk with an altered gait, causing skeletal problems down the track. If you can hear your dog’s nails on the ground as he walks they are too long and it is time to cut them. Get yourself some dog nail clippers. There are three types of nail clippers you can get for cutting dog’s nails. The guillotine style, a file trimmer, or scissor style clippers. Make sure you get the right size clippers for your dog’s nails. Go slow. It is important to cut only a small amount of the nail at a time as you need to avoid cutting the blood vessels inside the nails. If your dog has clear nails you will be able to see the pink quick and the blood vessels. With darker nails, you will need to be more careful. Go slowly and look at the cut end each time, when you see a pink or gray oval appear, stop cutting. If you haven’t cut your dog’s nails before, only do one or two nails at a time until they get used to it. If you do cut too far and your dog starts to bleed, apply a clotting powder and some pressure until the bleeding stops. If the bleeding won’t stop take him to a vet asap. If your dog has long hair you may need to cut it regularly. You will need to use special dog grooming clippers for this job. Choose clippers that are quiet to prevent upsetting your dog with the noise. Never use scissors as they can be difficult to control if your dog moves unexpectedly. Read the instructions that come with your clippers to ensure you are using them correctly. Select the right blade for the length of hair you want. Make sure the blades are sharp, as blunt ones will pull on your dog’s hair. Clipper blades can become hot with continued, so use a coolant or lubricant according to the instructions to avoid burning your dog. Check them regularly throughout the grooming and change blades or clippers if they get too hot, or wait for them to cool down. Pop your dog up on a table to make it easier for yourself. Put down an old sheet or towel to stop them slipping and catch most of the hair. If you can, have someone else hold your dog to stop any sudden movement. Use the clippers in the direction of the hair growth, starting at the neck and working down the body and then the legs and tail. Keep the blade flat against your dog, and do not put too much pressure on them, or you could cut into his skin. Clean and care for your clippers after you use them to keep them sharp and in good condition. Brush out all of the hair and use the spray or lubricant that comes with them. You may need to have them professionally sharpened after a while. Start grooming early in your dog’s life, when they are still a puppy if you can, so they become used to it. Always praise your dog during the grooming and when it is over. Use a calm soothing tone and use treats as a reward. This will ensure your dog always associates grooming with something positive and he will be more likely to enjoy it and want to do it again. Take regular breaks if your dog needs it. Monitor your dog during grooming for signs of stress or agitation. Stop if they are in distress and try again at some other time. Be patient. If your dog is new to grooming, you will need to be patient with them and take your time so that they are comfortable with what you are doing. You may need to introduce grooming equipment, like clippers and brushes, gradually. Use this regular grooming as a chance to give your dog a health check. Take the opportunity to look your dog over for wounds, injuries, lumps, or infections. If anything seems unusual, take him to a vet as soon as you can. As for how often you need to groom your dog, this will depend on many factors, like your dog’s breed, size, coat type, and whether they spend much time outdoors. Your vet will have the best advice for your particular dog. There are some circumstances where it is probably better to take your dog to a professional groomer instead of trying to do it yourself. If you are experiencing any of the following issues then just pay money and take your pup to a groomer. It is better that they are clean and healthy. Your dog continues to be stressed, agitated, or fidgety, even after you have tried praise, treats, and patience. Your dog is fearful or aggressive when you try to groom him. Grooming an aggressive dog can be dangerous for you. Someone more experienced may be able to calm them and get them used to regular grooming. You, or any other family member, just do not have the time to spend on grooming your dog. If this is the case, maybe you could do some of the smaller jobs, like brushing their coat or teeth, and leave the bigger jobs to a professional. We hope this information helps you to become more comfortable with grooming your dog at home. P.S. Help a friend with these dog grooming tips by pinning this!